In which we take a look at what treatments, including CBITS and medication, have been used to effectively help those with uncontrollable motor and vocal tics. In which the Secular Therapy Project reaches 2000 clients in the first year of operation! 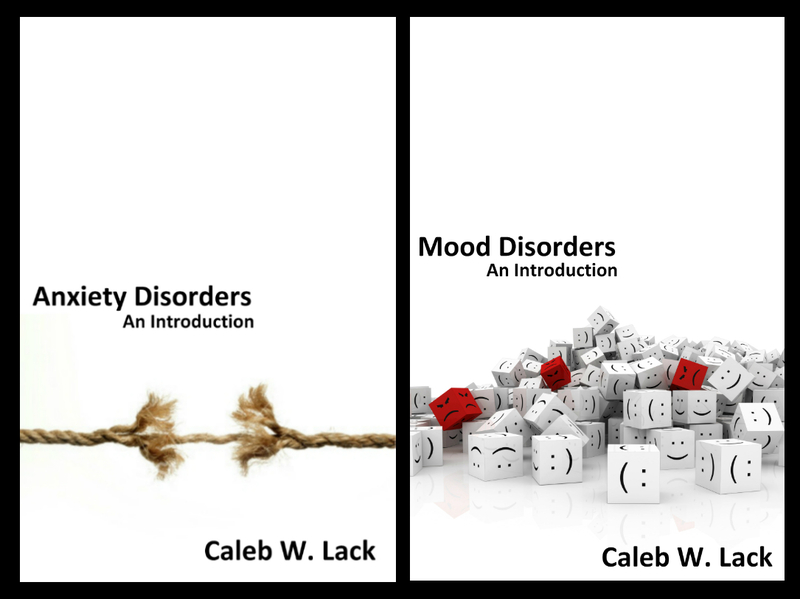 New Books on Mental Health from Caleb Lack! In exciting news, I just published two short texts on psychopathology. One is on anxiety disorders, while the other focuses on mood disorders. Both are now available for the Kindle, Nook, iBooks, Kobo, and in paperback (links below). It should come as no surprise to my regular readers that I a) am a clinical psychologist and b) despise pseudoscientific nonsense. As such, when I come across woo in my field, I feel a special fire begin to burn deep inside me and it’s not because I missed taking my Pepcid. No, it’s from having the field I have devoted the past 16 years of my life to dragged through the mud and made to look silly by those who are not actually practicing evidence-based psychology.